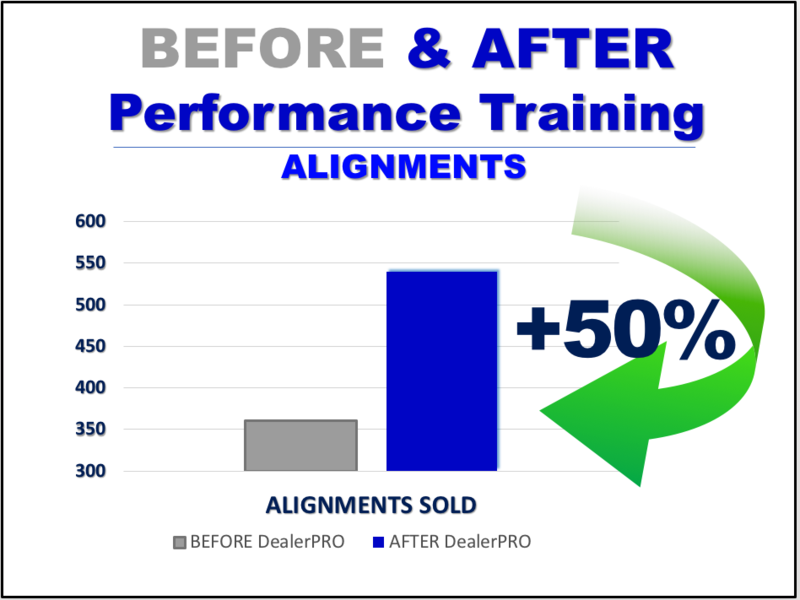 Every year DealerPRO is voted the #1 Fixed Ops Training Company by dealers nationwide—because DealerPRO produces bottom line results. 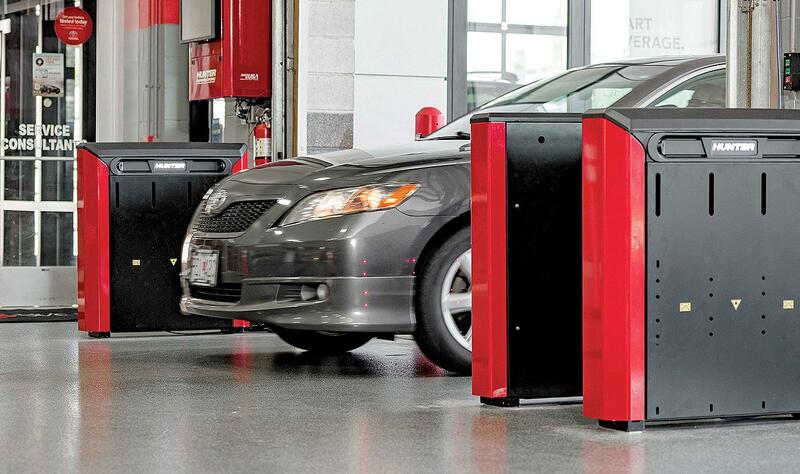 The success of our dealers is proof of our performance. Our Hunter dealers see a dramatic increase in equipment utilization and a much faster and bigger ROI. 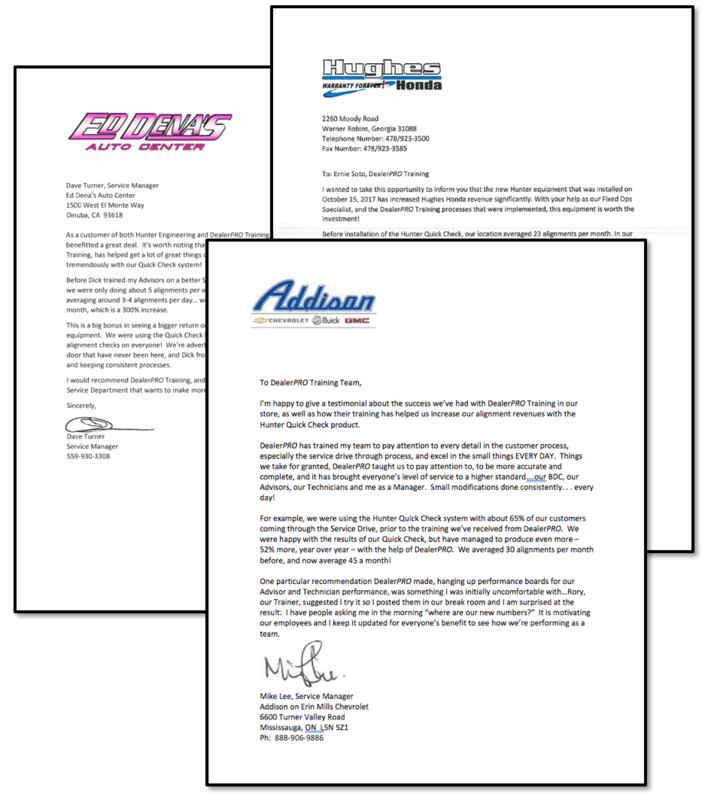 Dealers across the nation are thrilled with the results the Hunter/DealerPRO partnership delivers. 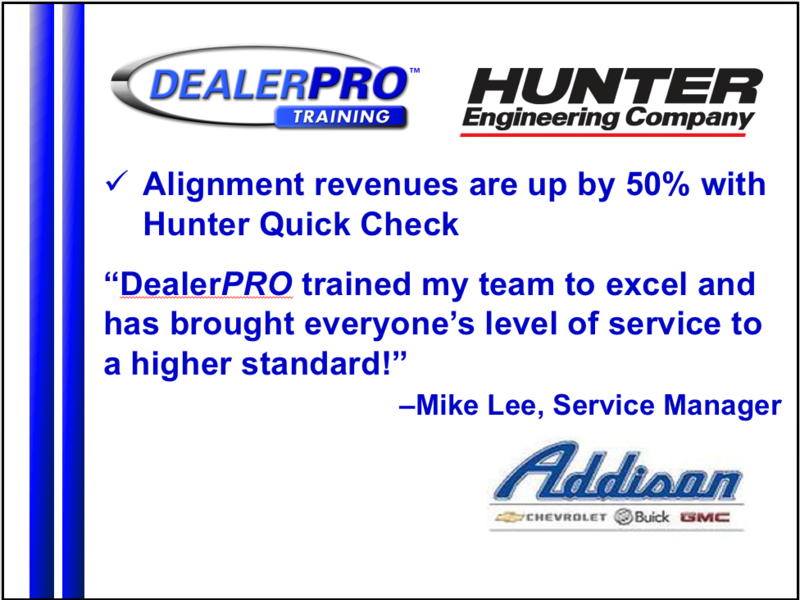 Click Here To Learn How You Can Benefit From The Hunter/DealerPRO Performance Partnership!